Seminars | Victory Wealth Management, Inc.
Do you have questions about when to take Social Security? Do you understand how spousal benefits are calculated? Do you know how benefits are taxed? What about Medicare and Social Security? Get your questions answered in this FREE community session. 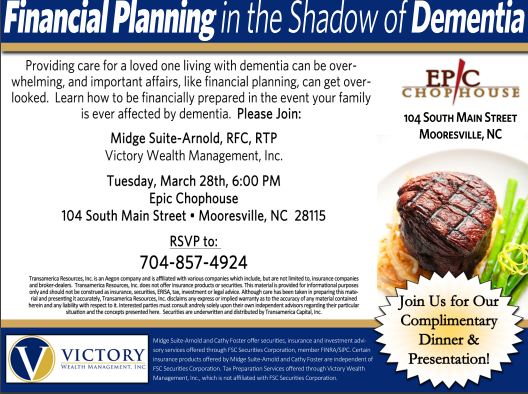 Midge Suite-Arnold, MRFC, RTP and the owner of Victory Wealth Management, Inc.will be on hand to discuss the ins and outs of Social Security. The workshop is open to the public and free, however, please RSVP by calling 704-857-4924. Join us for an informal discussion on what investors need to know – and should ignore – about the upcoming election. This Premier Services event is for our clients and their guests! Plan on attending one of two educational workshops! 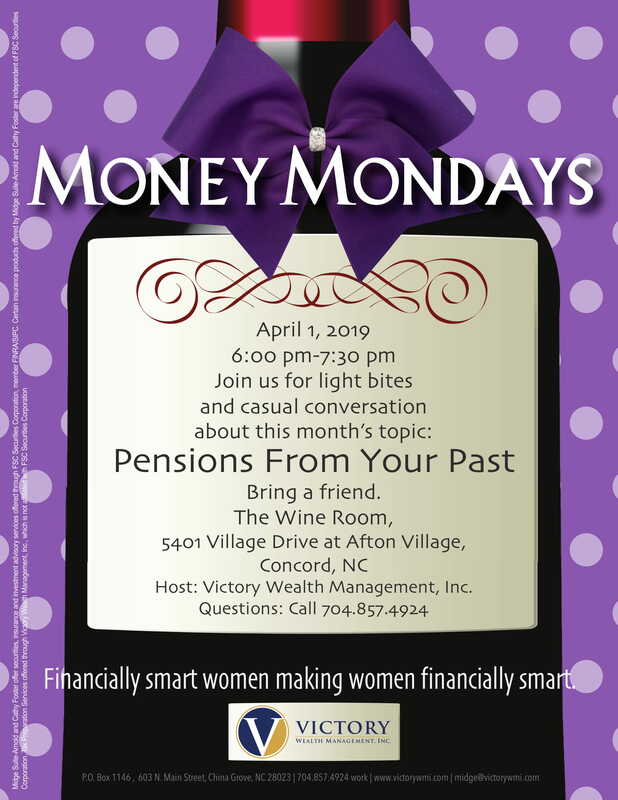 Call Brittany at 704-857-4924 to reserve a spot for you and your guest today! Please join us for this informative seminar!